Finger tip. Thursday. Dominated by moulds. Finger tip. Wednesday. Dominated by the soil bacterium Bacillus mycoides. 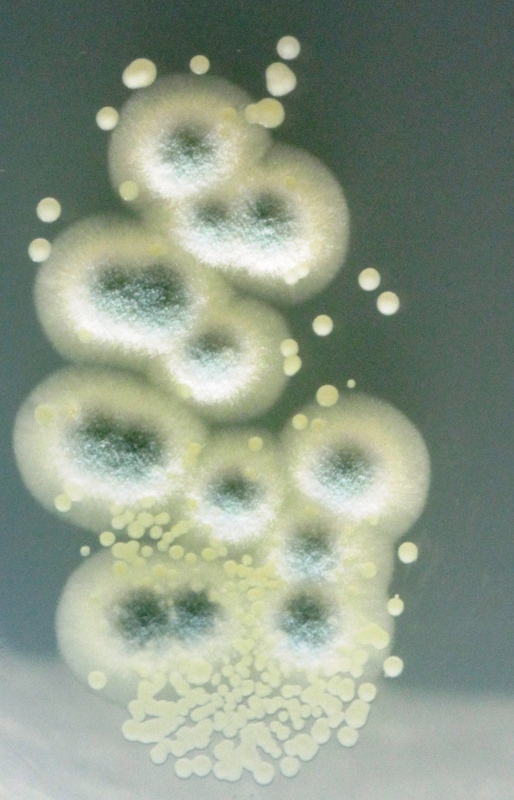 A colony from my microbiome is producing an antibiotic that inhibits the growth of this bacterium and produces a zone of no growth. Staphyloccocus aureus: skin-like smell with a secondary smell of bread. I’m attempting to generate a highly personalized perfume, that smells of me, or as the many bacteria of my microbiome generate my unique bodily aroma, that also is derived from these prokaryotic cells. 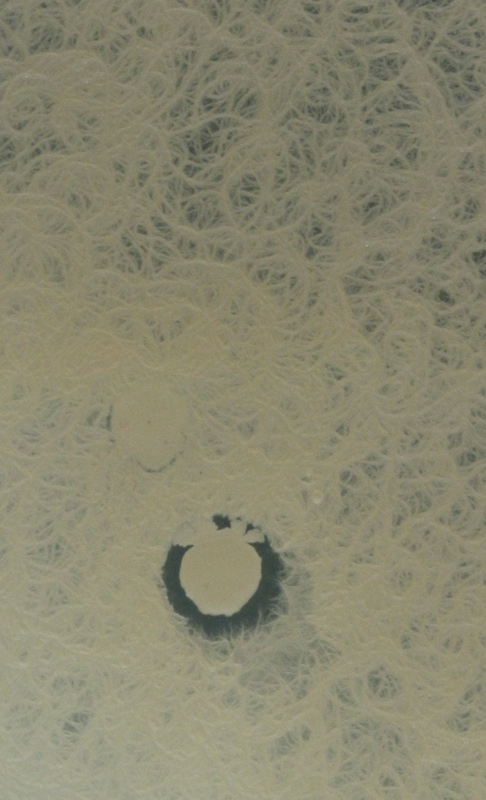 This is a first screen to isolate bacteria from my microbiome. 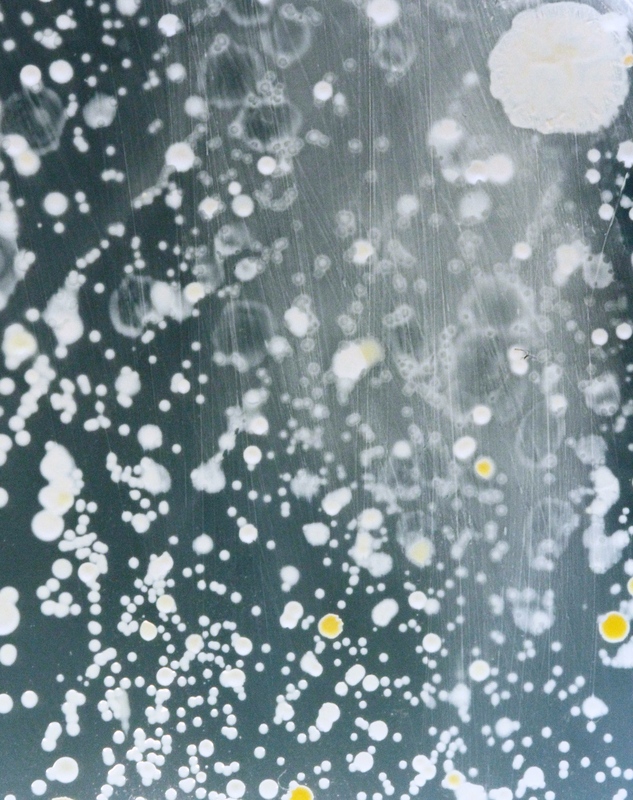 It surprises me that so many of the bacteria have smells I would class as ‘nice’!